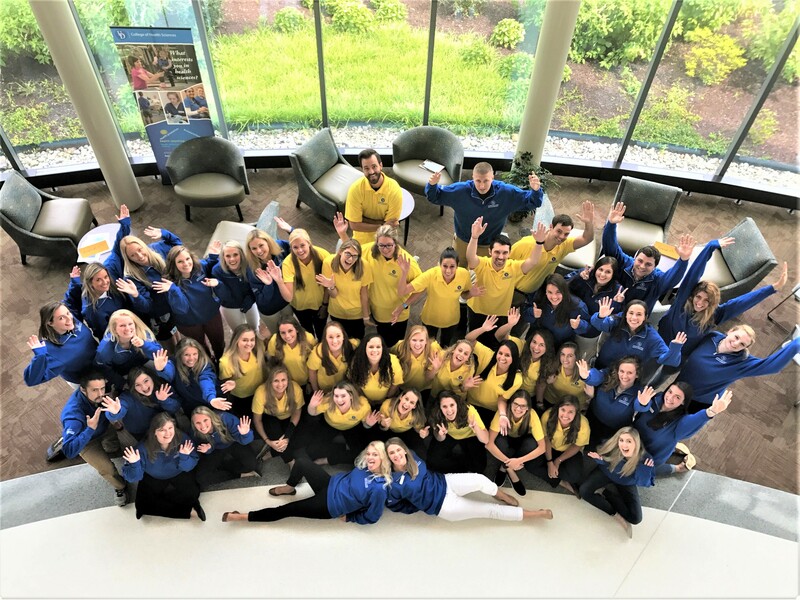 The Master’s program in Speech-Language Pathology at the University of Delaware is a Candidate for Accreditation by the Council on Academic Accreditation in Audiology and Speech-Language Pathology (CAA) of the American Speech-Language-Hearing Association (2200 Research Boulevard, #310, Rockville, MD 20850, 1-800-498-2071 or 1-301-296-5700). This is a “pre-accreditation” status with the CAA, awarded to developing or emerging programs for a maximum period of five years. Information on the “step-wise” candidacy model and requirements for Candidacy status can be found HERE. Applying for the Master’s degree in Speech-Language Pathology is a two-step process. 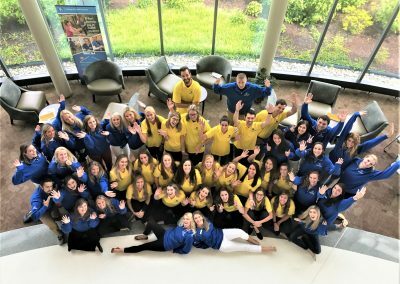 The Communication Sciences & Disorders program at the University of Delaware participates in the CSD Centralized Application Service (CSDCAS). All applicants are required to apply online through CSDCAS. Once the CSDCAS application is completed (application is e-submitted, all required transcripts and/or required foreign transcript evaluation(s) and payment have been received), applicants will receive notification from the UD Office of Graduate and Professional Education to complete a brief university application. All materials should arrive at CSDCAS at least four weeks prior to the February 1 deadline to allow for timely processing and verification. UD graduate school application and fee (only to be completed after notified by the UD Office of Graduate and Professional Education). A $35.00 fee is required. NOTE: It is not necessary to submit any additional documents to the University of Delaware since they are in CSDCAS. Any coursework and subsequent transcripts that become available after the file has been verified and released to us by CSDCAS must be submitted directly to the CSCD program at the University of Delaware. Applicants must have completed a Bachelor’s degree from an accredited institution of higher education prior to matriculation. Although applicants with any undergraduate major may apply, only students who have completed all of the program prerequisites can be accepted as regular graduate students. Applicants are required to complete both the prerequisite course required for certification by the American Speech-Language-Hearing Association (ASHA) and those required by the University of Delaware Speech-Language Pathology program before starting the M.A. program in Speech-Language Pathology. The American Speech-Language-Hearing Association mandates certain additional course work for certification in speech-language pathology. These courses are not requirements or prerequisites for the M.A. program, but they are required for the Certificate of Clinical Competence and thus for entry into the profession. The requirement may be satisfied by the completion of one full-semester undergraduate course in each of four areas. These courses must be taken outside a department granting degrees in speech-language-hearing. Advanced placement courses taken in high school also count, as does successful performance on the CLEP examination. The four required areas are biological science (e.g., biology, human anatomy and physiology, and human genetics), physical science (physics or chemistry), behavioral and social sciences (e.g. psychology, sociology, and anthropology), and statistics (Stand-alone course in statistics. Research methodology courses in communication sciences and disorders cannot be used to satisfy the statistics requirement). Most undergraduate university students have this background, but you should consult your advisor to make sure you have taken courses in all 4 areas. Applicants should also have completed or be in the process of completing the required 25 hours of clinical observation that have been signed by an ASHA certified Speech-­Language Pathologist. The general test is required for admission and must have been taken within 5 years of application. Your application file will be considered incomplete, and will not be reviewed, until after official GRE scores are received. GRE waiver requests are not available for admission to this program. We strongly recommend that you take the GRE a minimum of 8 weeks before your application deadline. Applicants should request all official test scores to be reported to the University of Delaware when applying in CSDCAS (institution code 7459). All applicants whose native language is not English and have not completed a baccalaureate degree at a college or university where the primary language of instruction is English, must demonstrate English language proficiency through either the TOEFL or IELTS testing systems. The test must have been taken within two (2) years of the first semester of enrollment. The minimum TOEFL score required is 110 (TOEFLibt). The TOEFL code for the University of Delaware is 5811. Score reports can be obtained by contacting Educational Testing Service. An IELTS score of 8.0 or better may be submitted in place of a TOEFL score. Official transcripts from every accredited U.S. college and university attended need to be submitted. DO NOT include transcripts for study abroad classes that are not itemized on a U.S. college or university transcript. Please refer to our program page in CSDCAS for additional information. All official transcripts should be sent directly to CSDCAS. Foreign Transcripts: Applicants who did not receive an undergraduate degree in the United States must have their degree transcript evaluated by World Education Services. This evaluation must document equivalency to a U.S. baccalaureate degree. When requesting a transcript evaluation, request a “course-by-course” evaluation with grades. Please allow for additional time for your application to be processed. All applicants are asked to compose an essay that addresses the applicant’s skills and experiences. The exact question to be addressed can be found in the CSDCAS application. The essay should be submitted directly to CSDCAS. Three letters of recommendation are required for admission. It is preferred that college instructors provide these recommendations, but past supervisors during employment or volunteer positions are also acceptable. Applicants will enter the names and contact information (including email addresses) of three (3) individuals into the online CSDCAS application. The application system will prompt the references to submit a reference letter and automatically send them to CSDCAS. Please refer to our program page in CSDCAS for additional information. Upon acceptance into the program, a $500 nonrefundable deposit is required. Neuroanatomy and Neurophysiology is not a pre-requisite, but is highly recommended. The Communication Sciences and Disorders program provides academic and clinical training commensurate with the Masters in Speech-Language Pathology degree. 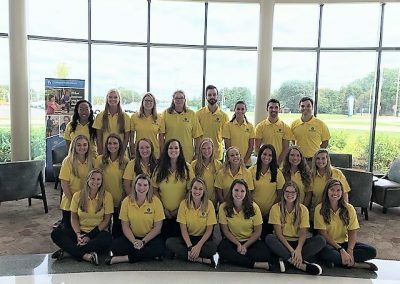 This entry-level degree program provides students the necessary coursework and practicum experiences to apply for certification in speech-language pathology (CCC-SLP) from the American Speech-Language-Hearing Association. Graduates are also eligible to apply for licensure as a speech-language pathologist in Delaware. The UD CSCD program is full-time and of two years duration, including two winter sessions and one summer session. Part-time matriculation is not permitted. The curriculum is designed to provide a comprehensive balance of academic and clinical experiences that addresses all KASA 2014 requirements and ASHA standards for professional certification. The curriculum encourages students to explore professional scholarship whether through clinical work, classroom assignments, or independent research. The thesis option provides additional training in a research experience for students interested in pursuing doctoral study. Students who enter the program with all pre-requisite courses should complete the program in 18 months (4 academic semesters, one summer and one winter sessions). Students who select to do a thesis may lengthen their program of study by one semester. Program has proposed changing to 60 credit hours beginning Fall 2019. Basic concepts of clinical practice, including models of service delivery, clinical decision making, models of diagnosis and assessment, fundamentals of clinical data collection and measurement, treatment planning, and professional writing. Required credentials to practice as a speech-language pathologist are discussed. This course presents an overview of acquired neurogenic language disorders and the ways in which these disorders have historically been described and explained. Course provides a review of the neural basis for communicative behaviors. Approaches to diagnosis and treatment of adult language disorders from structural to functional models are discussed. Current theoretical approaches to phonological analysis and typical phonological acquisition applied to assessment and intervention with children who have phonological disorders. Practice with formal and informal phonological analysis procedures. Theoretical perspectives on the nature of stuttering, including onset and development, and maintenance of disfluent speech; differentiation of normal vs. stuttered disfluencies; approaches to assessment and intervention across age range, settings, and severity levels; familial considerations, counseling, and environmental modifications; treatment principles. A review of research in oral and written language development of school-age children and contemporary literature relating to the management of language disorders of school age children and adolescents. Emphasis on assessment and service delivery models; classroom management; and teaching, adaption, and implementation of IEPs; legislative and administrative aspects of speech-language pathology school programming. Overview of communication disorders secondary to acquired brain damage in adults; focus on aphasia, communication disorders arising from dementia, right‑hemisphere stroke, traumatic brain injuries; general principles of diagnosis and intervention across a variety of settings, with consideration given to the present climate of health care and functional outcomes. Presents information on the anatomy, physiology, and neural bases of normal swallowing, the various diseases that can affect swallowing function, the nature of swallowing dysfunction and ways to assess it, and treatment options for patients with swallowing disorders. Basic foundations for management of voice disorders. Techniques applicable to children and adults with disorders of voice, both functional and organic in origin. Approaches to development of alternate modes of communication for individuals with significant motor, cognitive, and/or perceptual disabilities. System design (hardware and software) useful in building augmentative and alternative communication devices for the profoundly impaired. Basic theories and principles associated with communication assessment and intervention for individuals with Autism Spectrum Disorders are addressed. Theory, procedures for assessment, (re)habilitation of speech, hearing, and language deficits of people with hearing impairment. Course is taken concurrently with CSCD 651 and is intended to provide a forum for peer discussion of theoretical and clinical issues related to the management of patients seen in the clinic. Emphasis on evidence-based practice, clinical writing, and ethical/professional issues. This course is a continuation of Foundations I and II and will expand students knowledge and understanding of research methods in communication sciences Focus is on scientific principles, ethical use of human participants, animal subjects and responsible conduct of research principles, and evaluation of scientific evidence. Student will begin developing their evidence-brief. Review of neuroanatomy and neurophysiology of brain motor systems. Characteristics of the dysarthrias and apraxia in children and adults due to congenital or acquired etiologies, including degenerative diseases. Focus on diagnosis and prognosis, and development of treatment goals. Course is intended for students who intend to practice as bilingual speech-language pathologists. Fluency in language other than English is required. Course will review linguistic and cultural variations in language acquisition and child socialization across cultural and linguistically diverse populations. Course focus is on assessment and treatment of communication disorders in individuals from culturally and linguistically diverse groups. Supervised laboratory experience in conducting research in communication sciences and disorders. Presentation of research ideas, results by faculty, students. Variable content. 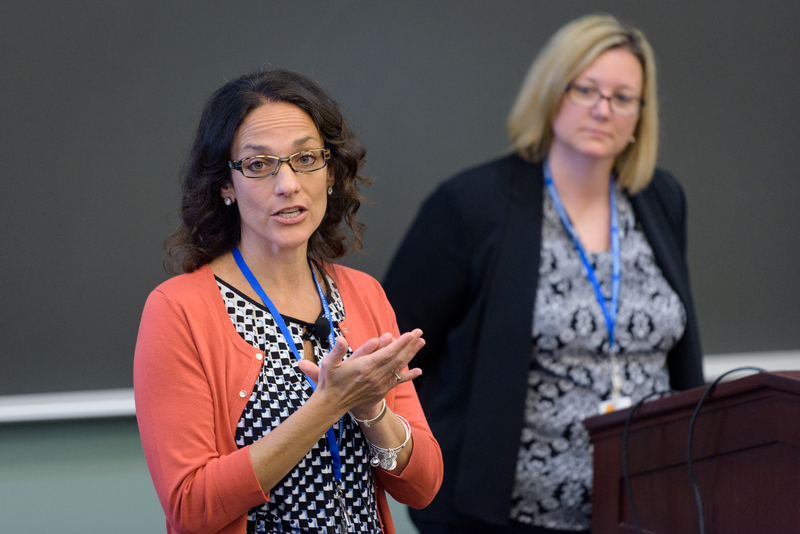 Speakers from the communication department, other areas of the university and the general professional community present issues of concern to speech-language pathologists. Course is taken concurrently with CSCD 751 and is intended to provide a forum for peer discussion of theoretical and clinical issues related to the management of patients seen in schools or health facilities. Emphasis on evidence-based practice, clinical writing, and ethical/professional issues. Supervised practicum in health care facility or school setting. Students are provided various opportunities to work with individuals across the life span and the continuum of care: early intervention in the homes, daycares and preschools, K-12, outpatient clinics, hospital for children and adults, and sub-acute nursing facilities. Sites are located in New Castle, Kent, and Sussex counties. 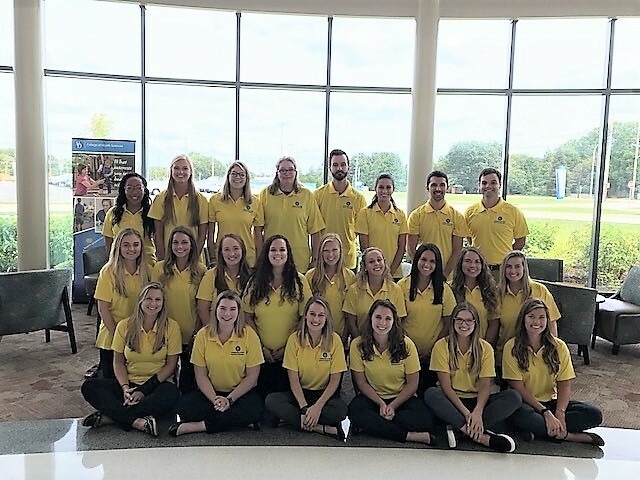 First year students’ practicum experience opportunities include: UD Speech-Language-Hearing Clinic, home and day care based early intervention, RTI in schools, research-based summer camp interventions, and diagnostic assessments in schools. Second year students are placed in a minimum of two externship sites; one serving adults and one children. Some students return to the UD SLH Clinic for specialty clinics. see the University’s State Authorization page for more information. Our 2018 & 2019 Graduating Classes!